Brian Morgan will be 70 in March of 2016. He has been photographing golf since the mid 1960s and last year covered his 50th Open Championship at Hoylake England where Rory McIlroy won. He has worked in an official capacity for USGA, PGA, R&A and worked for Augusta National for 12 of the 17 years he covered that event. 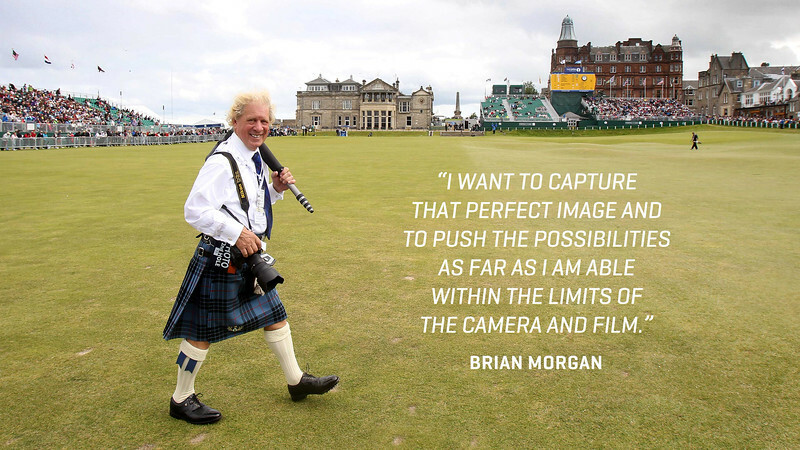 In the early 1980s he started to photograph golf courses and has done over 1,600 in over 50 countries to date. The Brian Morgan Library contains these courses (over 400,000 slides) which also includes over 1,200 golfers and personalities. His photographs have appeared in countless golf publications and in over 40 books—15 of which were his photographs only. The 3 most recent books were on: Shanqin Bay, China; Nine Bridges, S. Korea; Ayohada Links, Thailand. Playing off a handicap of 10, he continues to travel and photograph courses. He has acted as a consultant to several courses and owners over the years and founded Machrihanish Dunes. He is also a panelist for Golf Magazine’s "World Top 100".